Don't Just Sit There, Let These Toys Blow Your Mind Gundam. Draonball. Kamen Rider. Great Mazinger, even. Namco Bandai's 2011 Tamashii Nation toy show proves just how wonderful (and awesome) Japanese figures can be. Don't believe me? This Cosplay Is a Flawless Victory This Mortal Kombat shot is above and beyond what you normally expect when you think "cosplay photograph". That's because Cosplay photographer Alexander Vasiliev is not here to screw around. She Didn't Have Friends. She Had Pocket Monsters. 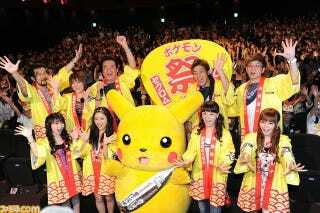 Ever wonder why nerd heroine Shoko Nakagawa is the queen of Pok&eacutes;mon? Because growing up, she was lonely. Very, very lonely. She Didn&apos;t Have Friends. She Had Pocket Monsters. Eat Curry. With Your Plastic Girlfriend. Some people have flesh and blood girlfriends. Others have pillows. And some have plastic toys. One curry restaurant in Tokyo's geek district is sensitive to this. This Man Spent Over a Month of his Life Completing a Video Game It usually takes some kind of achievement or trophy you can show off to your friends to compel people to 100% complete a video game. For Steve Tolin, however, all it took was the pursuit of true completion.